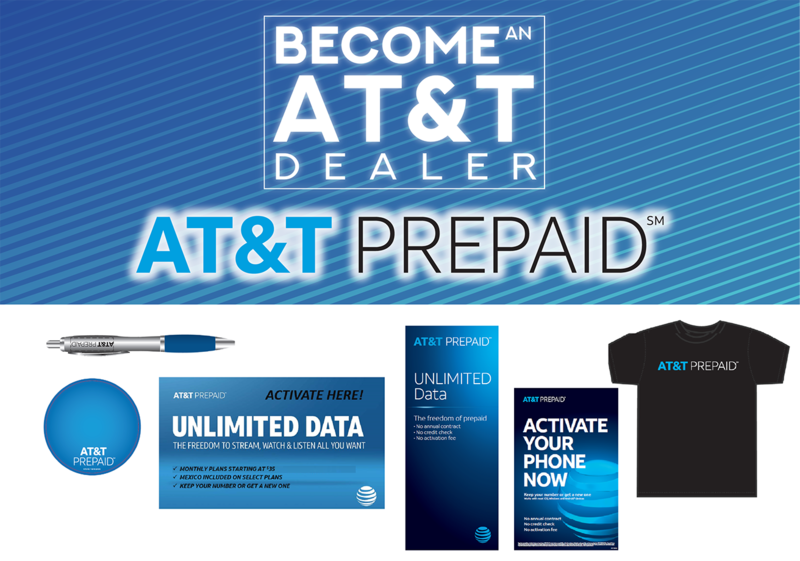 Become and AT&T Dealer and receive a FREE promotional merchandising kit! Talk to one of our representatives to become an AT&T Prepaid Dealer and start earning immediately. Contact us today to receive more information about this promotional merchandising kit at +1 (888) 548-5661. Visit our registration page by clicking REGISTER HERE NOW.